Reveal the PA Within is a step-by-step guide to make yourself a competitive PA school applicant through effective preparation and insight. Purchase the paperback version- just $19.99! 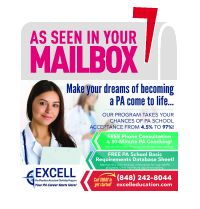 EXCELL Student Experiences and Recollections!